If you are looking for a durable floor that is easy to maintain and affordable, laminate flooring can be a great choice. Also called a “floating floor,” laminate can be installed directly over your existing plywood or subfloor or any other hard-surface floor, such as hardwood, concrete or linoleum. 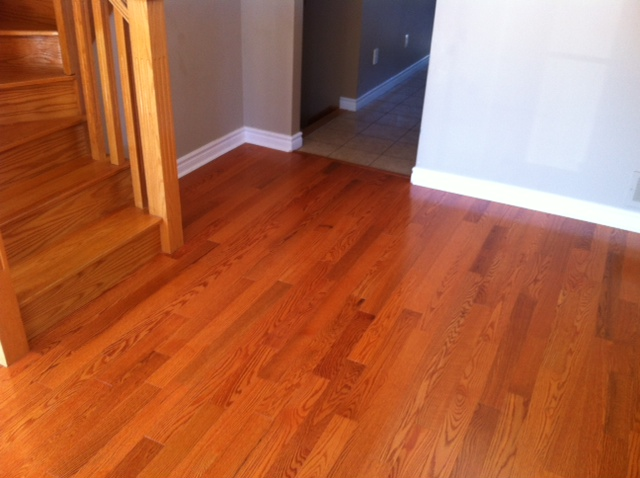 There is very little waste when using this flooring, unlike hardwood, laminate planks have no defects or imperfections. For this project Don of All Trades Professional Home Maintenance Services installed Uniboard Brand Premium Laminate Long Strip flooring. 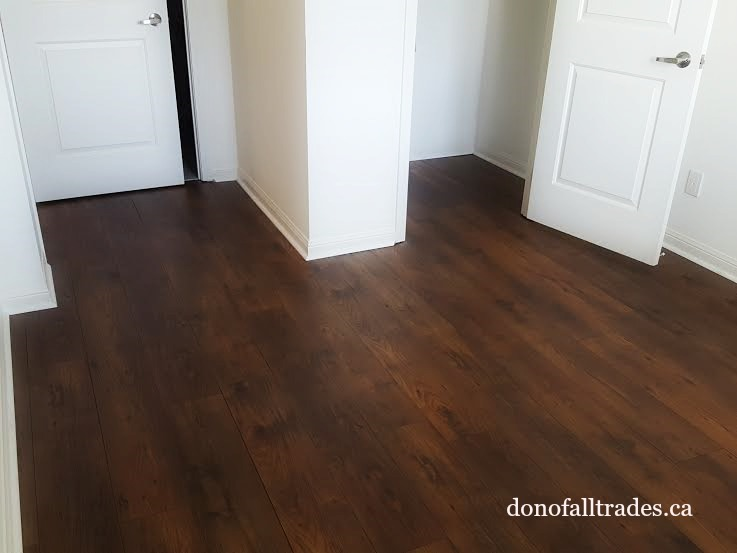 Gone is the outdated heavily soiled carpet replaced with new laminate flooring that gives this living space a new upgraded rich and clean look. 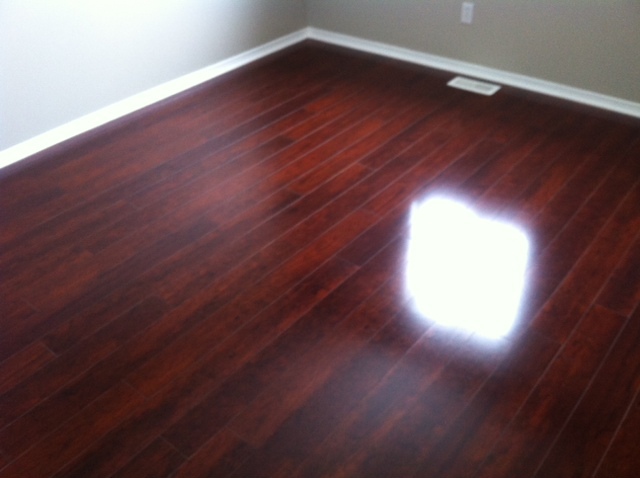 By choosing to install laminate flooring, our clients now have a floor that cleans easily, is attractive and durable. If you would like more information about this Uniboard Brand Premium Brand Laminate Flooring installation, we have provided some of this products features and information below. Vacuuming, sweeping and on occasion damp cloth is usually all you need to keep your floor clean. 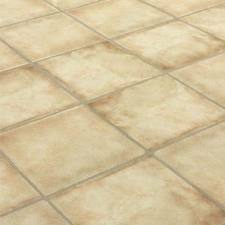 For heavier cleaning, us a non-abrasive household cleaner or a cleaner especially formulated for laminate floors. Simply, use a slightly moistened cloth to avoid excessive water on the floor. For specific stains or cleaning questions please contact the Uniboard Canada Inc. technical support line at 1-877-864-8641. For more information about this product visit UNIBOARD Canada INC. at http://www.uniboard.com. Check Out Our Current Flooring Install Specials Going on Now! 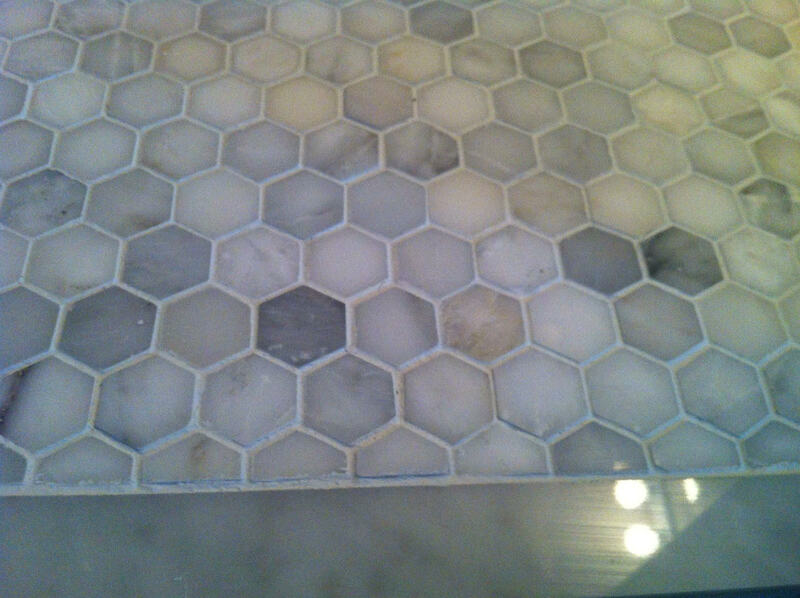 Have a question about your current flooring or any other home repair? Leave a comment below!